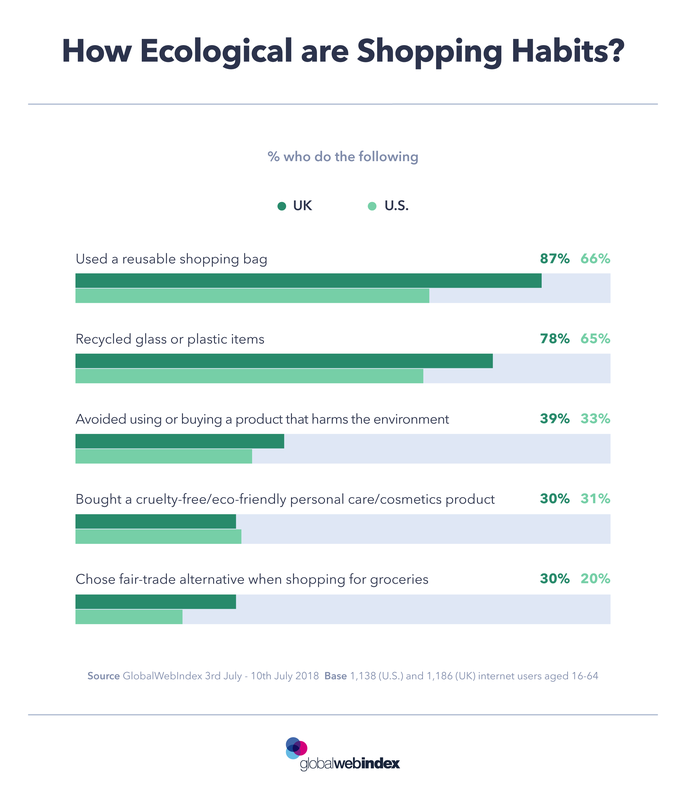 In another addition to this week’s preview of our special study on eco-conscious consumerism in the UK and U.S., today’s chart explores the measures taken by internet users in their shopping habits to improve their impact on the environment. Various corporate and governmental initiatives have been implemented lately designed to positively influence consumer behavior in favor of ethical and eco-friendly buying habits. In the UK, legislation requiring shoppers to pay for plastic bags while shopping seems to have made a significant impact. Almost 90% of UK consumers say they have used a reusable shopping bag in the past month. It’s also very encouraging that in the U.S., where disposable or plastic bags in some cases are banned or are subject to fees, two thirds of internet users are also using reusable bags for their shopping each month. Many headlines recently have been spreading awareness of the impact of staple plastic goods like straws and cutlery on the environment. As we will see in tomorrow’s chart, manufacturers and production bodies are among the most responsible for the future of the environment in the opinion of consumers, and corporate responses to the use of non-environmentally friendly products are increasing in number. Starbucks vowing to remove all disposable plastic straws by 2020 is just once recent example of this. 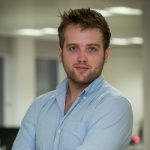 These responses are certainly a step in the right direction, but the abundance of consumer goods still heavily reliant on plastic materials inevitably means that consumers are faced with relatively less choice in their ambition to ‘go green’. This is clearly reflected in the significant drop in figures between this option and the top two actions in our chart. Actions more geared towards ‘ethical buying’, such as buying fair trade alternatives and cruelty-free personal care products, are not as common as those which are classed as eco-friendly. Purchasing these products as well as products with less impact on the environment in many cases means paying a premium. This helps to explain why internet users in both markets in the lower income bracket are significantly less likely to be regularly practising all three of these behaviors in their shopping habits. Avoiding the use of plastic products like straws and cutlery which harm the environment could become a much more prominent behavior in the future with the help of corporate initiatives which are helping to raise awareness. Unlike the clamp down on plastic and disposable shopping bags which in many cases has received government backing, achieving this will rely on brands providing consumers with alternatives to plastic products, rather than relying on consumers to carry their own materials.